This is Logan. He fought against Stage 4 High Risk Neuroblastoma in Oakland, CA, which was diagnosed in April of 2015. He was cancer free for 2 1/2 years and relapsed on Jan 31, 2019. 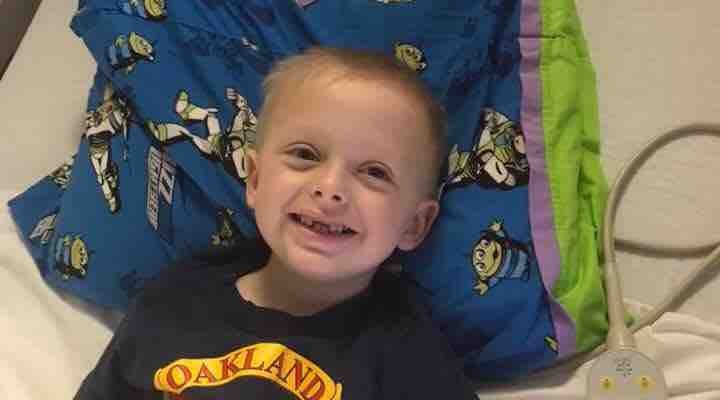 He is from Reno, NV and all of his treatments are done at Children's Hospital of Oakland. Logan lives with his older brother, Hunter, his mommy, daddy, and his dog Jessie and bearded dragon, Norbert. 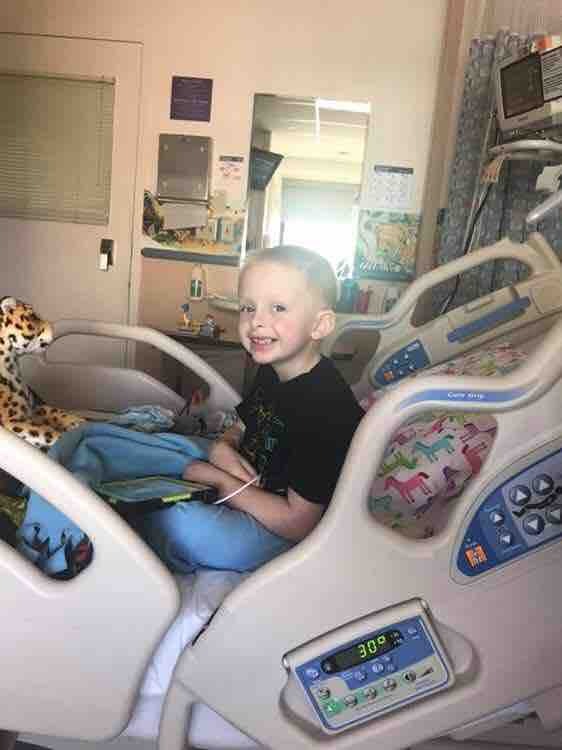 Logan’s dad, Eric, is traveling back and forth during treatment which lasts for a week. They are then home for two weeks. Mom, Nancy, is working and taking care of Hunter. Anything you can give is helpful and goes directly to bills and living expenses. Hi Team Logan family. 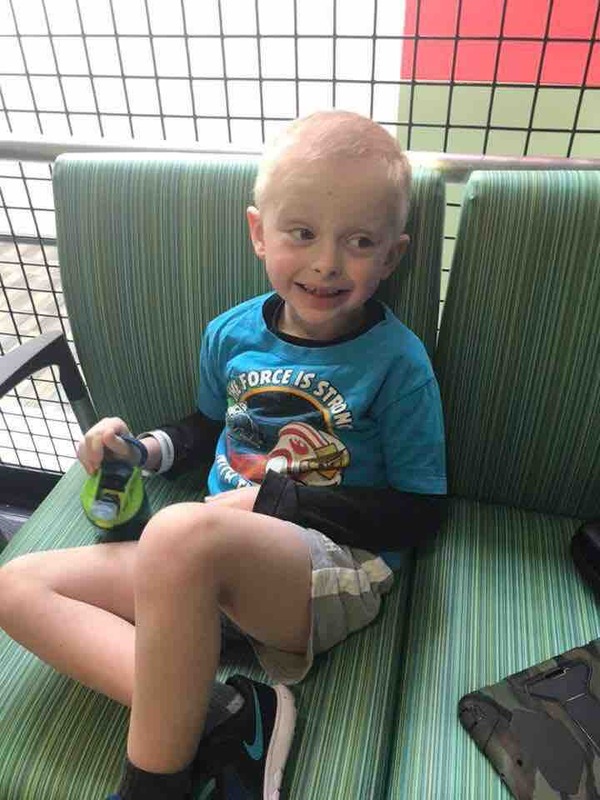 Logan is currently on day 3 of 5 of treatment and doing well so far. It was an icky day yesterday but Eric and Logan were able to get some rest overnight. I want to thank you all who have donated and shared this page. It has helped immensely. Hi all. It is with a heavy heart that I give you an update. Most of you may know already but Logan’s neuroblastoma has relapsed. He will have a staging scan next week and will also start treatment. Eric will be going down with him as I will stay in Reno with Hunter and continue working. Once I know more I will post an update again. Many have asked how they can donate financially. This is how. We are humbled with our support system and know that you are all family. Hello, team Logan! It's been a looooooong time since an update and that's a good thing. Just wanted to put an update here in case people only follow this for updates. Logan has turned 5 today! In the hospital. We got admitted on Tuesday evening for dehydration and monitoring. He was pretty dehydrated from a tummy bug he got. Some vomiting, diarrhea, and not drinking was a recipe for feeling super crummy. 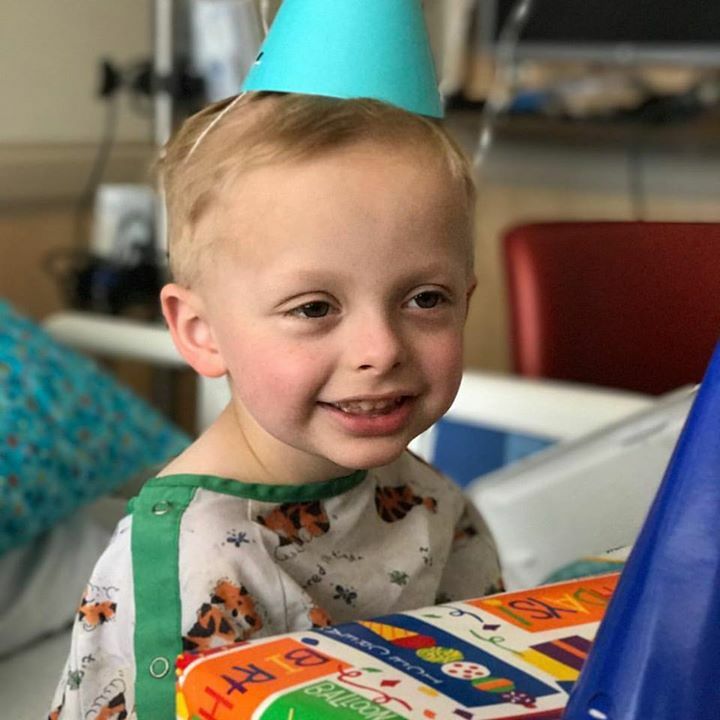 It hasn't been all bad, though.....the child life department threw him a birthday party....balloons, presents, and a cupcake. He hasn't felt well enough to eat the cupcake, but he loves everything else. Please keep us in your thoughts and prayers....survivorship is wonderful, but can be difficult and scary at the same time. We want to support our fellow Montessori students and wish Logan speedy healing! Thank you Smith fam for allowing me to have an amazing fundraiser for your sweet family!!! LuLaRoe corporate will be in contact about sending you their portion!! !